Staying hydrated is incredibly important. You won't get too far on your ride with no water to drink. Water bottles are a necessity while you're riding but they don't all have to be boring. You can add some style with a cool looking water bottle. 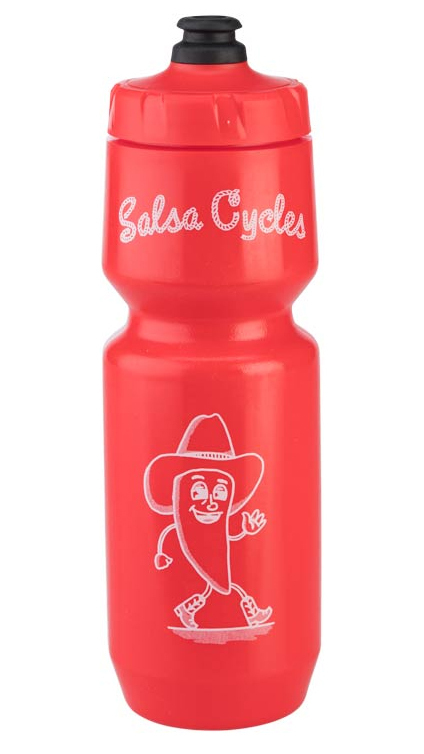 The Salsa Pepperman Ketchup Water Bottle holds your liquids in style. It's a Purist water bottle that holds 26 fluid ounces of liquid. Stay hydrated in style.